ATI - ATI FireMV 2250 256MB ATI FireMV 2250 256MB GDDR2 DMS-59 S-Video PCI-Express x16 Low Profile Graphics Video Card 102A9240730. 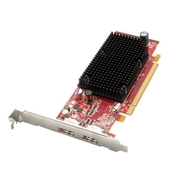 ATI - 100-505179 ATI TECHNOLOGY - ATI FIREMV 2250 PCI EXPRESS X1 256 MB DDR2 SDRAM LOW PROFILE GRAPHICS CARD(100-505179). NEW BULK. IN STOCK. SHIP SAME DAY. ATI - 100-505130 ATI TECHNOLOGY - ATI FIREMV 2400 128 MB DDR DVI PCI LOW PROFILE GRAPHICS CARD(100-505130). NEW BULK. IN STOCK. SHIP SAME DAY.